Do you have Mail Designer 1? This video tutorial shows you how to import your Mail Designer 1 templates to Mail Designer 2 with just a few clicks. Thank you for purchasing the upgrade to Mail Designer 2! If you would like to import your Mail Designer 1 templates, there are two ways you can do this. One way is to automatically import the designs. If for some reason you are unable to, then you move content manually. Open Mail Designer 1 and Mail Designer 2. In Mail Designer 1, find the document that you want to move over. Then drag the template onto the icon of Mail Designer 2. Then, you choose a new category for this template. Now, you can open the Mail Designer 1 document on your Mail Designer 2. Afterwards, you can customise with new buttons and animations available in Mail Designer 2. If you have a lot of templates to bring over to Mail Designer 2, then you can go up to the file menu and import designs from Apple Mail. Then you will see an assistant pop up. Afterwards, click on migrate designs. Then, all you have to do is hit open. 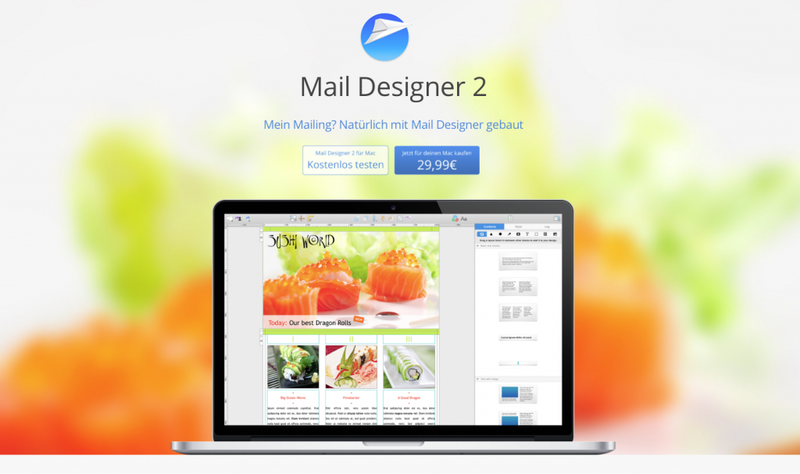 Mail Designer 2 will start importing all of those templates.